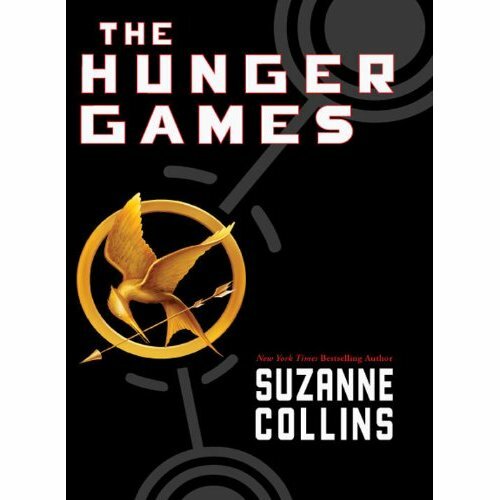 The books in the Hunger Games trilogy are great books to read if you are, in fact, hungry, and on a diet, because they are so hard to put down that you will find it a challenge to get up and get yourself something to eat. True story. I finished reading the trilogy this month, and unlike the girl in my book group who loved them, I came away from the books with mixed feelings, but no loss of weight, which was a little disappointing. The Hunger Games and Catching Fire were both riveting books that moved along at an arresting pace. (I read Catching Fire in approximately 24 hours.) Katniss, with her general distrust and her inability to play to audiences, was likable, and certainly sympathetic; and Peeta was like the dream boy that seemingly everyone but me thought Edward or Jacob (from the Twilight series) was – something like my dream boy, anyway. My principal complaints about the trilogy came with the third book, Mockingjay. First I have to confess to being a bit a dismayed by the amount of time that Katniss spent sedated in book three. Throughout the first two books, she found a way through, even in the face of apparently insurmountable sorrow or difficulty. Of course, in the first two books, she had had the freedom to overcome; in book three, that freedom was demonstrably absent – whether because she was sedated or because the people in District 13 weren’t really free. Perhaps that was an irony Suzanne Collins intended us to observe. Then there was the rather grotesque role that Katniss was required to play – a mascot for the revolution, a living symbol – still a pawn to be used to advance someone else’s agenda, to inspire the people to fight. I finished the books the same weekend that, a year previously, my sister got married and moved halfway across the country; right at the end of Mockingjay, Prim, the sister whose place Katniss took in The Hunger Games, is killed by a bomb. Katniss’s certain numbness to all the things she’d imagined she would experience in some way together with her sister was particularly poignant. My sister didn’t die – but I could relate in a very small way to that feeling of loss, and the vacancy left behind that will never be quite filled. But my chief complaint is the way the books ended. You expect characters to emerge from stories changed in some way, and certainly the horrors that Katniss and Peeta witnessed and were at times part of would change them. But Katniss and Peeta were more than changed – they were completely broken, changed beyond recovery. I wasn’t expecting them to regain any sort of childish innocence, but I did hope that their story would end with a more complete happiness. And that, to me, was the most disappointing thing about the books, the idea that there would be no healing, no recovery of their former selves. This entry was posted in Books, Reviews, and Reading and tagged books, dystopian literature, sisters, young adult fiction on August 20, 2011 by ms.grammarian. One of the main points of the HP series, another coming of age saga, is that there is loss, change and a dawning awareness of responsibility as we all mature. In thematic terms, it is arguably rolled up as the end of innocence – the acceptance of the world as an awful place (in this case brutal) and coming to terms with it. My prayer for children growing into young adults the world over is to find their resource in Christ. This world is an evil place and the dawning of that awareness for some comes brutally, physically and/or emotionally. Everything in those books, while maybe not real, is also not a real stretch sociologically. Or… this response is because I also have just re-read 1984 recently.